Links in post are affilaite links. I will earn a small commission if you shop using my links. Thanks in advance if you decide to do so. 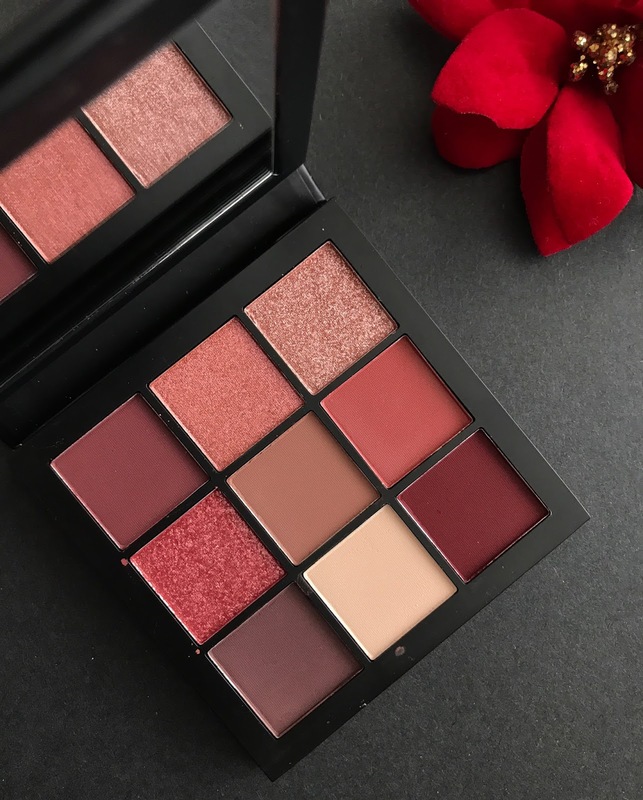 When Huda Beauty announced their new 9-pan palettes there were two shades that really excited me, the Smokey and Huda Beauty Mauve Obsessions. Today, I'm excited to bring you a full review and swatches of this little palette, which spoiler alert - I love. 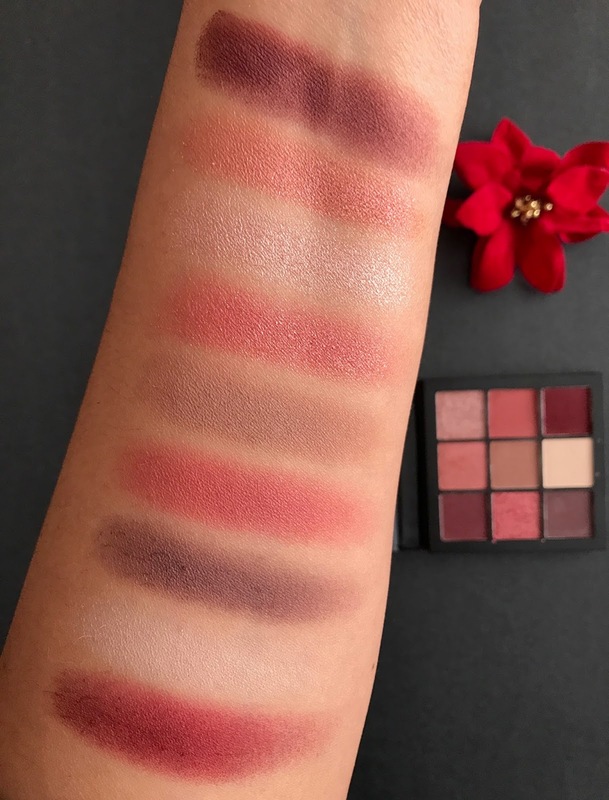 Like the four other Huda Beauty Obsessions palettes, this palette is $27 and features 9 eyeshadows in a compact little palette. I really enjoy the size of these little palettes, especially because even though they are quite small, you still get the same amount of product per pan as you do in Huda's larger palettes. My favorite part has to be how these small palettes have now made Huda Beauty shadows more accesible to all, her larger palettes are $65 which has always been the biggest issue I have with them. I own and love the Huda Beauty Rose Gold palette but have never made peace with how expensive it was. That's why I love these more affordable versions. 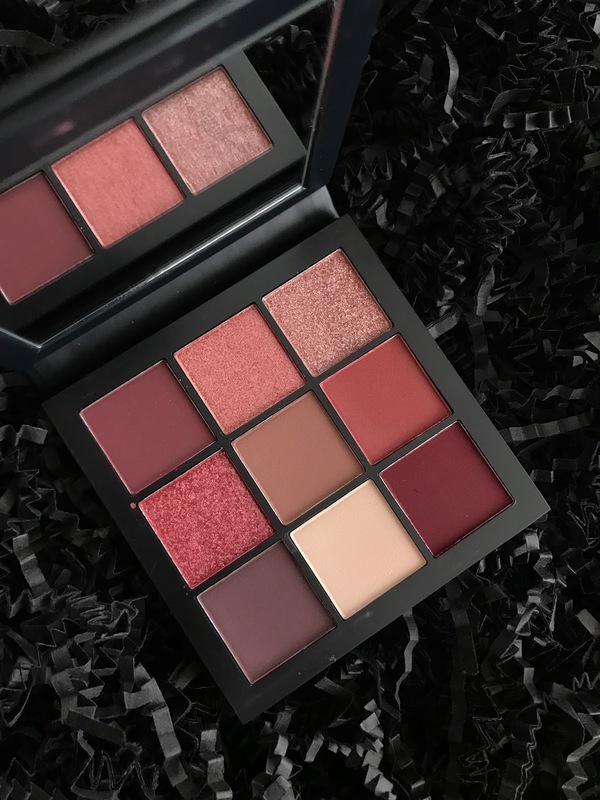 Now let's check out the Huda Beauty Mauve Obsessions, which has to be one of the most beautiful palettes ever. If you're a fan of berry toned shades, you will love this color story. 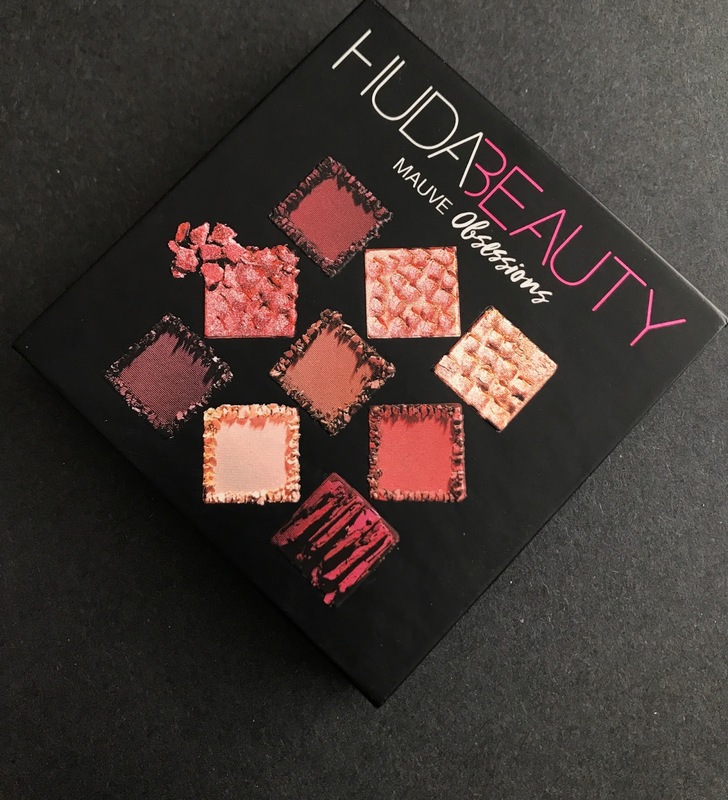 Huda Beauty Mauve Obsessions—Six pigmented mattes and three gorgeous shimmers in dusty rose and plummy hues create a soft, natural finish for a smoky, sultry effect. 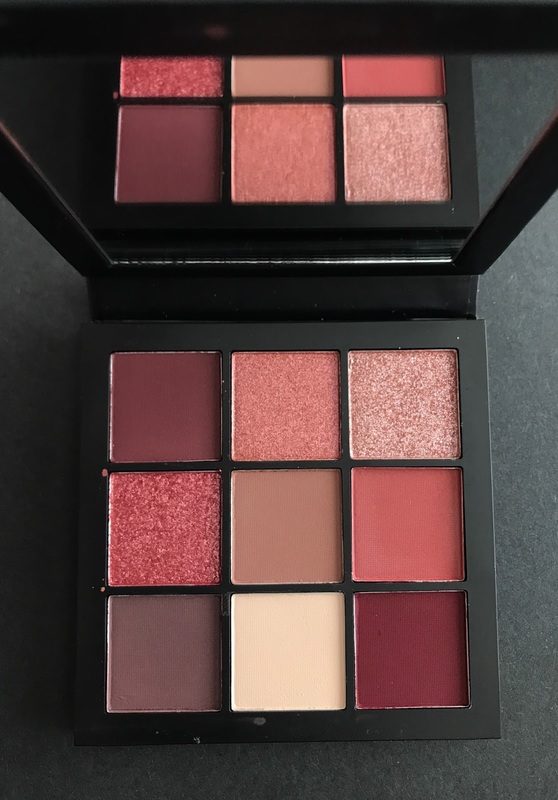 When swatching this palette, I immediately noticed that the pigmentation of the shadows is not as strong as those in the large Huda palettes. But the price difference and fact that these are made in China kind of leaves that to be expected. I just hoped that on the eyes they would apply nicely and build better than the Warm Brown Obsessions, which for me lacked pigmentation and refused to build on my eyes. I actually returned that palette because it performed so poorly for me. I admit that the swatches don't look amazing. When I saw them I was ready to be disappointed. I was happily surprised when I went to try this palette because it performed completely different from the Warm Brown Obsessions. From my first dip into the deeper berry shades and onto my lids, I got great color payoff and blendability. These shadows have worked so well for me, that I can even do an all matte eye look which is something I rarely do because of my dry lids. Then you have the gorgeous shimmers, which are beautiful. I have tried them all and love them. The darker berry shimmer in the first comumn swatched a little more powdery than the others so I wasn't sure how that would apply on the eyes, but I have pressed that in with my fingers on top of the matte shades and it's so pretty. This one shimmer would benefit from a glitter glue but I have used it without one and still enjoy it a lot. You do get a little bit of fall-out with the shimmers on application and tiny bits throughout the day, which is not out of the ordinrary but I thought worth mentioning. Other than that the color pay off of these shades and formula was a winner-winner chicken dinner. Overall, I love the Huda Beauty Mauve Obsessions. While the shades lean more on the berry than mauve for me, I think they are all just beautiful and they all play so well together. I have been enjoying some all matte looks with this palette and some very pretty shimmery looks too and just love the color range. And since I only paid $22 for this palette during the Sephora VIB sale, I love it even more.